LibreOffice Faenza Icon pack will only replace the LibreOffice toolbar icons with Faenza monochrome icons and will not affect the LibreOffice application icons. Also, you don't have to use Faenza as the system icon theme to use the LibreOffice Faenza icons! Please note that the installation instructions above will overwrite the original "libreoffice-style-crystal" (which isn't really a problem is you're not using this style or you don't plan on using it; either way, the commands above will create a backup of the original Crystal style). If you want to replace a different LibreOffice style, see the instructions @ LibreOffice Faenza Icons Mod Gnome Look page. If you want to use the original style, simply open the LibreOffice Options and select "Automatic" under LibreOffice > View. 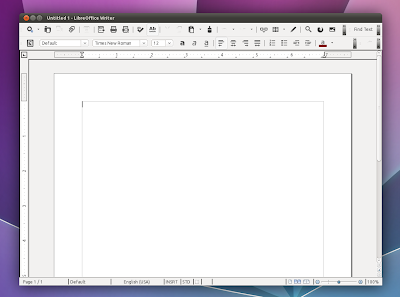 Please note that I've only tested the first case (LibreOffice installed via the LibreOffice PPA / Ubuntu repos).